One of the biggest things in a child’s early life is learning to ride a bike. We made sure that we started N early on a balance bike and I swear by these. By the time he was 4 he was straight onto her normal push bike within a few minutes and no accidents. 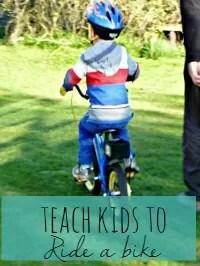 It doesn’t need to be painful teaching children to ride a bike. As long as you go through the proper stages and ditch the stabilisers in favour of a balance bike from early on. Last summer N had outgrown his bike and I made the poor child hold on until Christmas for a new bike. He’d grown so much that we needed to go up 3 sizes. Oops. He loves the new bike though, and while it looks massive it’s the perfect size for him and it’s coping really well with it. I have to think back and remember that when he had the old bike, that looked massive for him at first. My only concern when looking for a new bike was that all of the next size up bikes have gears. I was late riding a bike. I was given one at age 5, but didn’t dare go on it. 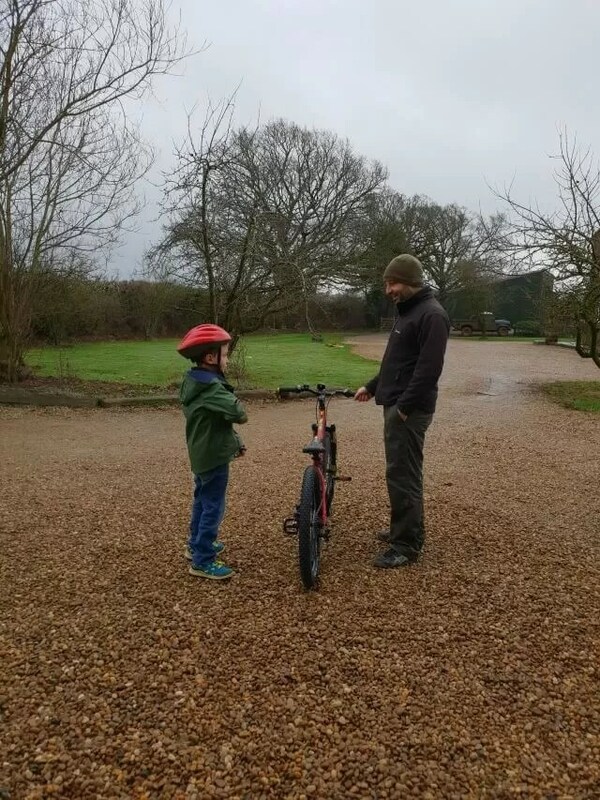 It wasn’t until we moved house when I was seven and I realised that everyone else could ride a bike except for me, that I had to teach myself. It wasn’t too bad apart from the fact I struggled going round corners and would fall off every time I had to go round one part of the green. But I got there. We didn’t have gears until we were much older. I think when I was 11, I moved up to a racing bike with 5 gears. But I didn’t get any more gears until post-university when I bought myself a new mountain bike and I had 18 to play with. Nowadays, children’s bikes aimed at 7 or 8 year olds have more gears than I’ve ever had before. N’s new bike has 21 which just seems madness to me. 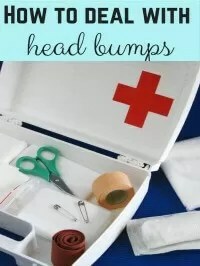 The guy in the shop said not to worry and that kids learn these things pretty quickly. That gears made more sense at a younger age because then children could go out with their parents and keep up, rather than struggling with no gears and their little legs going around like mad. He’s right because after a 10 minute chat with my brother about how gears work, N was straight on and using his first basic 7 years with no problems at all. If you’re a parent like me who thought it would be a nightmare teaching children to use gears, here’s how we explained it and how we got N using gears quickly. At the moment he’s only using the first 7 gears and once he’s using those with no problems we’ll then move on to adding the left hand extra 14 gears as well. 1. Remind them about their brakes. Right hand brake is the front brake for emergencies, and not to be used on its own. Left hand brake is all about braking safely as the back wheel brake. Both brakes can obviously be used together, but when learning about gears it’s good to isolate the left and right hand and give them a different job to do. 2. 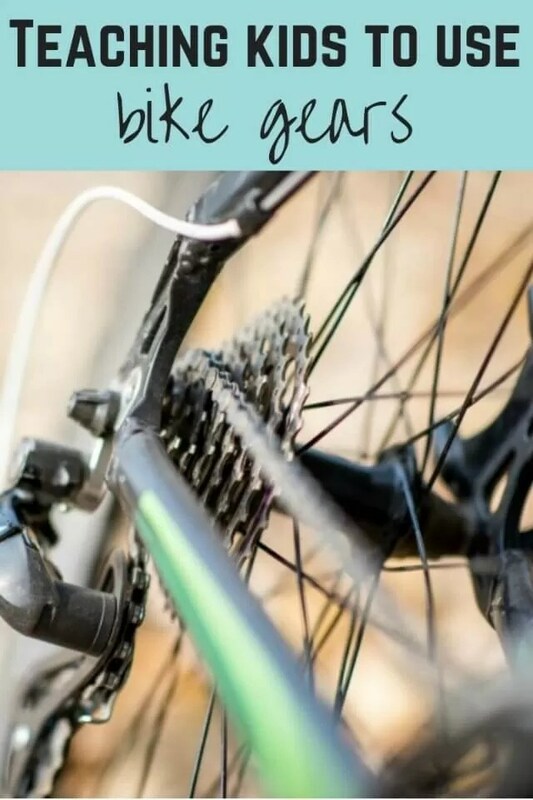 Teach them about how the bike gears work and get them to look at how the gears change and they move up and down the cogs. Concentrate on just the first lot of gears. 3. Explain how low gears have a lower number and are used for going up hills and when you need to make it easy on the legs. High gears are used for a flatter ride and going downhill with more resistance and preventing the legs from spinning around too fast. 4. Show them where the gears are on the handlebars. And explain that at the moment braking is on the left and gears are on the right. 5. Lift the back wheel up so that you can spin the wheel and change the gears at the same time. Show them how the cogs change up and down when the wheel is going round and how the number changes as you turn the gears. N’s bike has an easily visible number that he can see change whenever he changes the gear, so that makes it easier for them to see what gear its in and when it’s changing up and down. Some bikes just have the notches and the number of the gear located on the handlebar rubber which they need to line up as they change the gear. This makes it harder to see but can still be explained the same way. 6. Explain again which way the gears go. Low gear, low number = faster legs, lower effort, up hills. High gear, higher number = harder on the legs, more effort, downhill. N’s gears also have an up and down symbol so you can explain that as well if your child’s bike has that. 7. Put the bike back down and show them how you can change the gears when the pedals aren’t going around but the cogs won’t change. Get them used to changing the gears while a bike is static forwards and then back to the start again. This reminds them that they have to pedal and change gears at the same time to make the cogs actually change. 8. 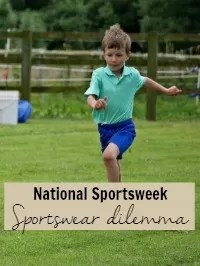 Start them on a slight slope because this will enable them to understand how are gears work up and down for going downhill and uphill. Explain that they’ll need to move up to a higher number to go down the hill. Get them to turn around at the bottom and try to come back up using the higher gear that they were in to go down hill. In theory it should be hard and shows them how they will need to move down to lower gears. You can try them again going down and up the hill in one of the lower gears. By then it should have clicked how they want their legs to go when they’re going down and up a hill and therefore understand the lower and higher gear concept. 9. Then combine the different gears as they’re cycling up and down. Explain how they want a harder resistance higher number gear going down the slope, but need to think in advance and come up the hill on a lower number. They need to think about changing back to a lower number as they’re cycling around the bend to come back up again. If your child has a fairly logical brain it shouldn’t take them long to grasp the higher and lower gear, high and low number concept and therefore which one they need for what. Starting with just the first set of gears should be plenty for getting them going on most cycle routes and once they used to using that set without thinking about it, then you can move on to adding in the left-hand set of gears. It’s probably easier to talk about the gears in terms of numbers going up and down rather than low and high gears. I know as a child I struggled with understanding which is a low and high gear. 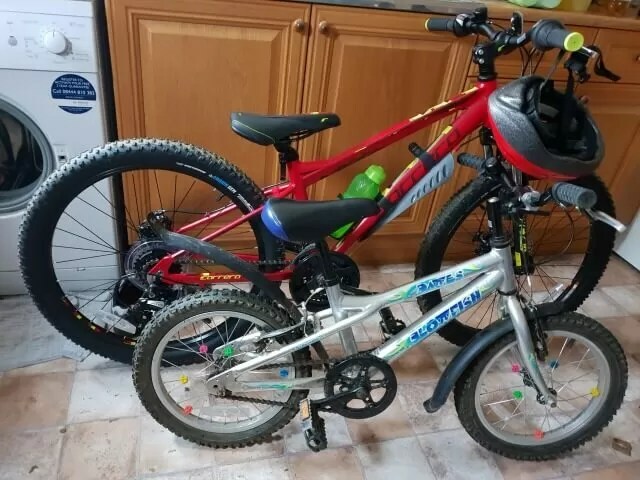 I have been talking to N about gears in the car and how we move to a lower or higher gear to go up and down steep hills and for overtaking to get up speed for a while now in preparation for him having gears on a new bike. It’s definitely worth talking about this kind of thing when you’re on car journeys to get children thinking about these things so they understand them before they even get on a bike. There’s not much stopping him now just the fact that he need someone to go out cycling with, as my knee really isn’t up to it at the moment. And the fact my bike is hidden in the depths of a stable somewhere probably covered in a lot of dust and cobwebs. But I don’t think it will take long for him to get onto the next set of gears. The next challenge to get his older cousin cycling which is proving painful because he has no concept of balance, having never had a balance bike. And he’s not that bothered. How did your kids get on moving from a non gear to a geared bike? How did you explain how bike gears work and how they should use them?